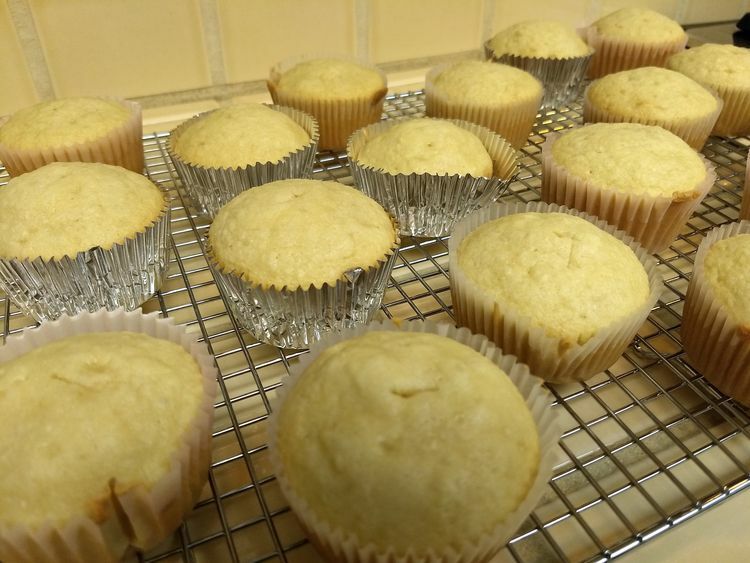 The Lunar New Year vibe hasn't quite ended for me, so my mum and I continued experimenting more tropical flavored inspired cupcakes. 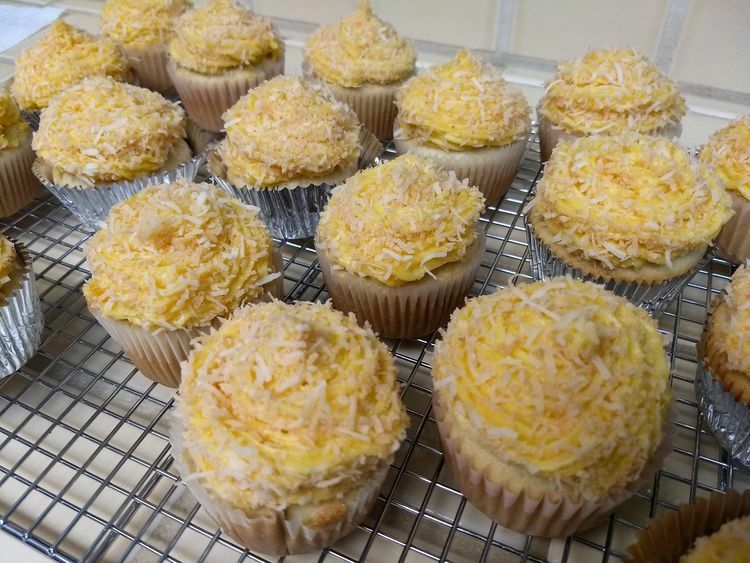 These are coconut cupcakes topped with mango buttercream frosting. 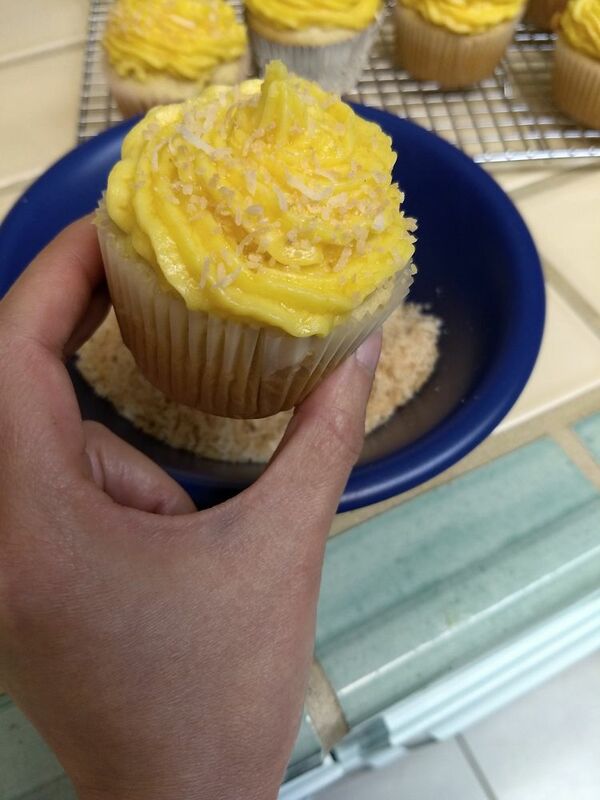 Not an expert in piping, but had some toasted coconut shreds to cover that up. 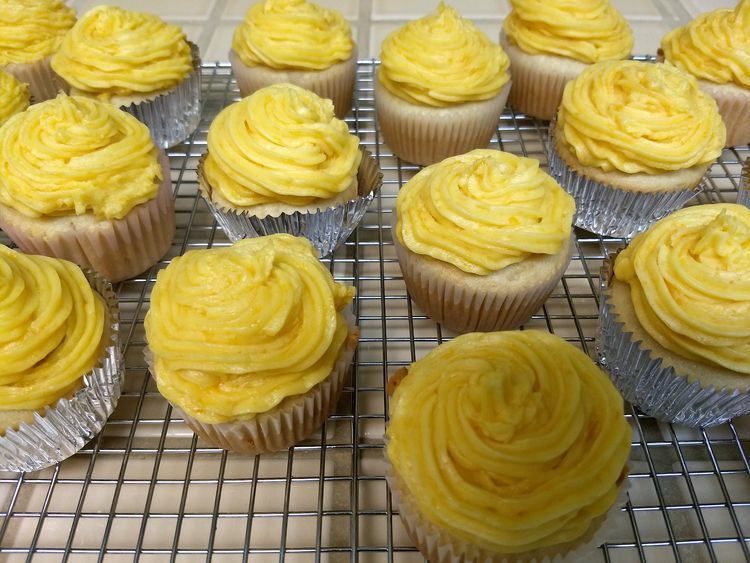 No artificial flavorings this time, loved how the fresh mango puree enabled this gorgeous yellow!